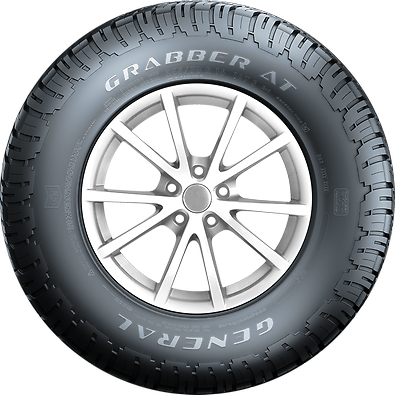 The all-terrain tyre from General Tire is called Grabber AT. 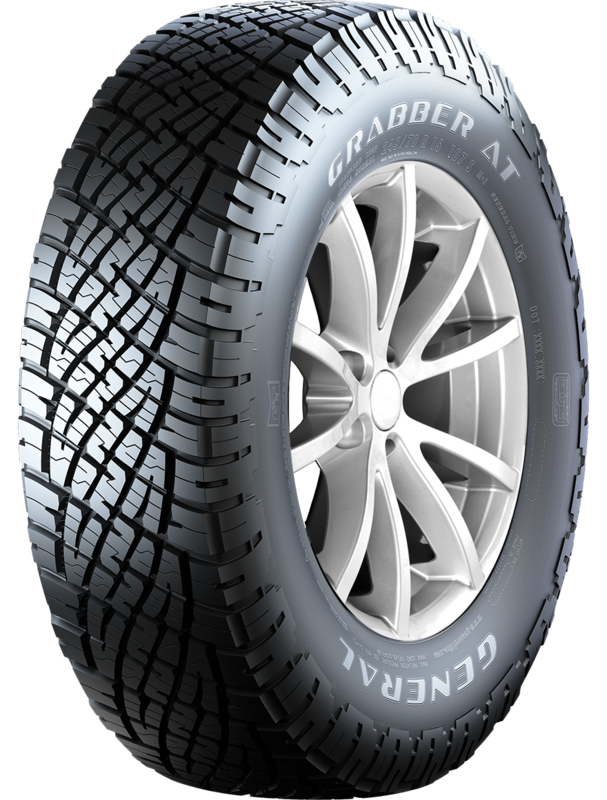 It provides a strong grip and excellent handling, both off and on the road. Outstanding traction and excellent steering performance offroad. The Grabber AT transfers the forces from the engine so directly that both the offroad traction and steering response are outstanding. High grip in muddy Terrain. The tyre is able to clean itself. 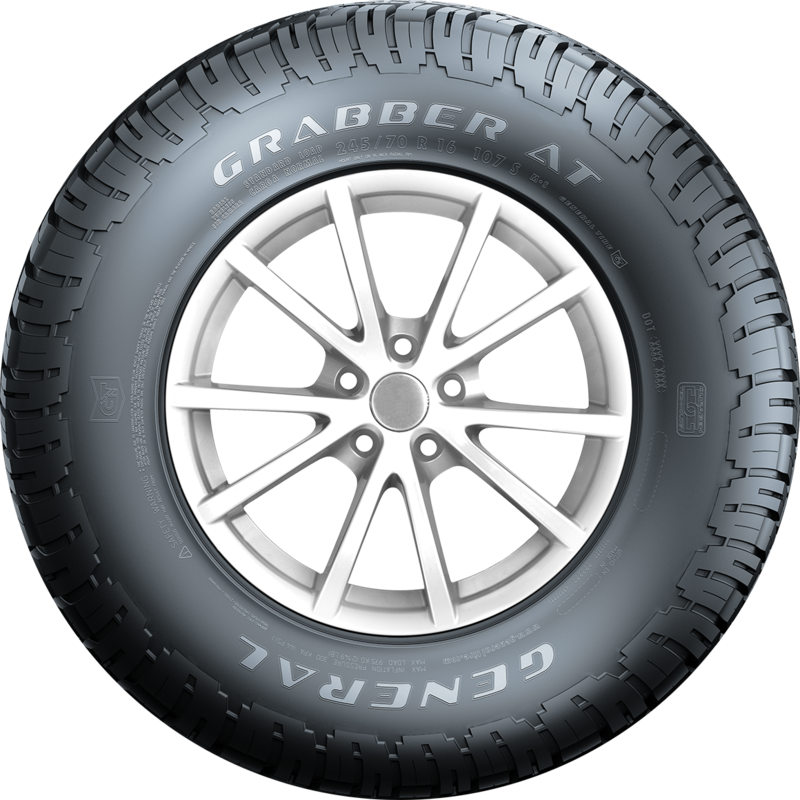 This means the Grabber AT always grips extremely well on muddy Terrain. Robust tread pattern even in rough terrain. In order to achieve optimum transfer of forces, the tyre is very rigid and yet flexible enough to prevent cuts and chips. Even under harsh conditions the tyre remains robust. Long lasting in rough conditions. The tread design prevents stones from getting caught in the tread. 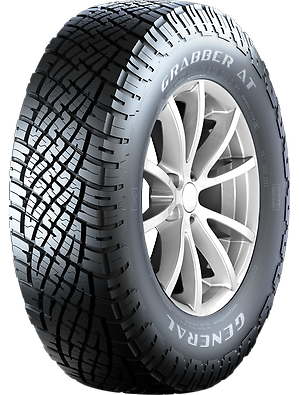 The tyre is durable even when put under heavy strain on rough Terrain. The road noise is pleasantly quiet and the tyre runs comfortably over the ground. Grooves and sipes channel water away from the tread and minimise the aquaplaning risk.